From soothing plains to colourful patterns, our luxurious roller collection has something to complement any room of your home. Bring natural beauty and a touch of luxury to the windows of your home with our stylish collection of real wood and faux wood blinds. Perfect for a truly sumptuous look, our beautiful collection of handmade romans is the epitome of luxury and timeless elegance. Available in a wide range of stylish colours and designs, our vertical blind collection offers you maximum sunlight and privacy control. 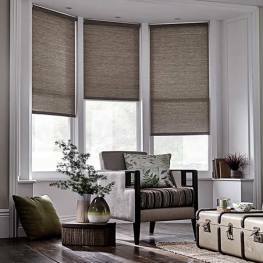 With an array of beautiful plain and patterned designs, our luxurious thermal blackouts are perfect for keeping sunlight and glare at bay. Bring versatility, functionality and contemporary styling to your windows with our high quality range of custom made aluminium venetians. 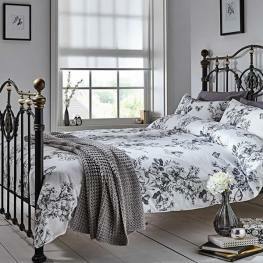 Timeless and elegant in a wide range of plain and patterned colours and designs. 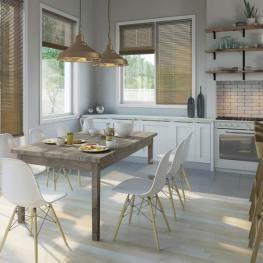 Smart, chic & contemporary in a beautiful array of natural wood tones and finishes. Soft, sumptuous and fully-lined, the epitome of style & sophistication. 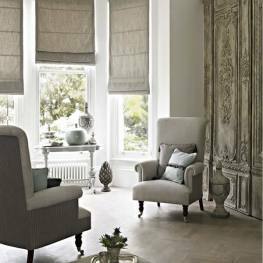 Stylishly filter the light with a huge range of luxurious fabric colours and textures. 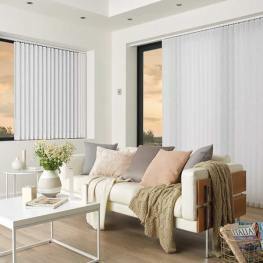 Control sunlight and privacy with a stylish choice of energy saving blackout fabrics. A smart, contemporary yet classic way to add colour and versatility to any window. Get the look and feel of real wood along with the added practicality of faux wood. The perfect choice for kitchens and bathrooms or any humid or steamy space. 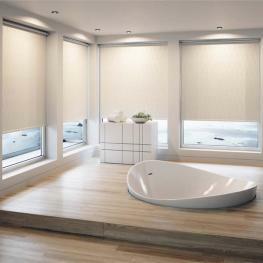 Looking for a blind for your bathroom? We’ve got it covered. From stylish water resistant PVC & vinyl fabrics through to waterproof faux woods, we have a solution for any bathroom. Find the perfect look for your kitchen. Whether you’re looking for a practical wipe-clean fabric or perhaps just have a specific colour scheme in mind, we’ve got hundreds of styles to choose from. 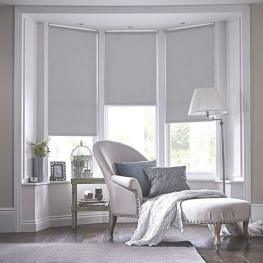 Create your very own cosy and relaxing refuge with our beautiful range of blinds for the bedroom. From plain and simple to colourful and bold, we’ve got something to suit all styles of décor. Choose from a wide variety of styles and designs to complete your living room look. From subtle shades to daring prints, from vintage to contemporary, there is something to suit any home. We manufacture all of our products right here in the UK and use only the finest British sourced components wherever possible. Buy your blinds direct. We’ve got over 30 years’ experience in manufacturing premium quality custom made window blinds. Delivery is free to mainland UK addresses on orders with a value over £130, regardless of how many blinds you buy. We’ve been online since 2001. With all this experience you can rest assured that our products and service are second to none. If you are searching for high-quality made to measure blinds at highly competitive prices, you have arrived at the right place. For more than thirty years we’ve specialised in manufacturing premium quality window blinds which bring luxury, style and functionality to any home, and our low, High St. beating prices mean you can dress the windows of your home for less at affordable online prices. 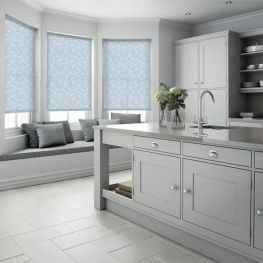 Whether you are looking for some beautiful new blinds for your kitchen, bathroom, lounge, bedroom or conservatory, our gorgeous collection of luxury blinds is guaranteed to transform the look of any room. With literally hundreds of fabulous colours and designs in both vintage and contemporary styles, we have something to suit all tastes and compliment any type of interior décor. Here at English Blinds we just love sharing our many years of knowledge and experience by helping you find the perfect look for your home. So if you have any questions at all then please contact us and we will be happy to help. Extremely pleased with both the service and also the quality of the blinds. The fit is exactly as I ordered and the price was great as well. Will definitely be using again soon. Quick delivery, amazing value for money and the quality excellent, they look absolutely stunning in my bedroom! I love them so much I’ve ordered some for the kitchen. Website easy to use, lots of beautiful designs. Samples arrived the next day and the blinds look fabulous. They are exactly what I was looking for, couldn’t be happier. They arrived really quickly, much faster than the stated delivery time. Overall a fast, friendly and efficient service, would certainly recommend English Blinds. I have bought three times now and each time everything has gone smoothly. They’re always delivered on time, they’re made to a really high standard and easy to install. Having looked everywhere for the perfect colour to match our new bathroom, we found exactly what we wanted on the English Blinds website. All in all, a great service. So pleased with the blackout material I chose, I’ve never had such a good night’s sleep. The colour, fit and quality are all perfect. This is the second time I have ordered and both times I have not been disappointed with the quality of the service, the products and the delivery. The website is user friendly, the staff are extremely helpful and knowledgeable. From start to finish the whole shopping experience was a breeze. 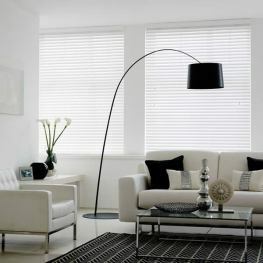 If you are looking to buy blinds online, I can wholeheartedly recommend English Blinds. The ordering process is easy, there’s a great choice of designs and the service and quality are second to none. I’ve ordered a number of times now. They always arrive promptly and are well packaged. The quality is fantastic, especially for the price. We couldn’t find the size we required on the high street so we were delighted to find a blinds company that supplied them made to measure in larger sizes, they look just perfect at the windows. Fantastic service, they were delivered ahead of the time stated on the website, they fit perfectly being tailor made. I’m so happy with them I’ve placed an order for two more. I’m delighted with our purchase, they are easy to fit, the quality of the fabric, the colour and design were just what we were looking for. Super simple process, from ordering the free samples to receiving our order. Easy to hang at the window, a perfect fit and excellent quality. Good quality at a reasonable price. Really pleased with all aspects of the service and it blocks out the sunlight just as we wanted. Nice and easy to order. Great communication throughout. Clear fitting instructions and not long to wait at all, especially considering they are a made to measure item. Delighted with the purchase we made for the bathroom window. Arrived earlier than we were expecting and the colour was the perfect match. I have used their services on several occasions now and each time I’ve been impressed with the speed, quality and efficiency. They are a wonderful company to deal with. Outstanding product and service. They were exactly the style we were looking for and much cheaper than the local shops. Highly recommend. As always their service is excellent. Quality goods and speedy despatch. They keep you informed at all stages of the process. Easy to follow instructions and the blind look fabulous. The whole process was completely effortless. From choosing and ordering the samples to the finished product. Very pleased. The online ordering process was simple, they were easy to put up and look lovely. I would have no qualms recommending them for both their service and products. I’ve used them a few times over the years. Great prices, great quality and they are a friendly and informative company to deal with. Simply love both the colour and the texture of the fabric we chose. It really finishes of the room beautifully. I couldn’t recommend them more highly. Superb company to buy from. The level of service they provide along with the quality of their products is always first class. Great value for money. They are easy to install for anyone with even just a little DIY experience and the fitting instructions and fairly straightforward to follow. Excellent customer service. Lovely range of window treatments to choose from, delivered on time and straightforward to install. All round a great experience.